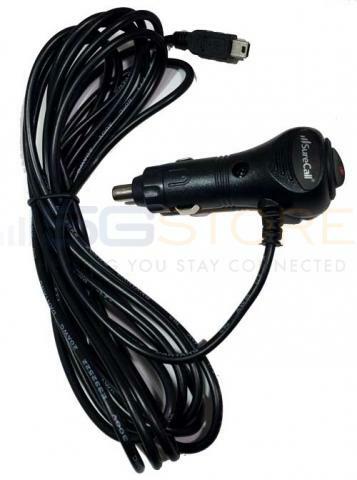 This amplifier includes a 6" tall magnetic mount antenna, but most users opt to use a more powerful antenna instead - you may select one here if you'd like. The yagi antenna REQUIRES line of sight to the tower (it will not work if you don't know where the tower is or if there are obstructions between you and the tower). The panel antenna is also a directional antenna and must be aimed towards the tower, but it does NOT require line of sight. If you are not sure where the cell tower is, you should choose one of the omnidirectional antennas. If you already have an antenna you plan to use (or if you plan to use the included antenna), you can select the "I already have an antenna" option. The Magnetic Mount Antenna, Indoor/Portable Antenna, Omni RV Antenna, and Omni Trucker Antenna all INCLUDE cabling. The other antennas do NOT include cabling and you must select a cable here to connect the antenna to the amplifier (for the ultra-low-loss cabling, we bundle the connector you'll need to connect the cable to your amplifier). If you already have a compatible cable you plan to use or if you selected one of the antennas that includes cabling, you may select the "I already have a cable" option. Users of USB modems, hotspots, and embedded modems that use a connector type OTHER than SMA will need an adapter cable or connector to connect the amplifier to your device (if your device has an SMA/Female connector, you will NOT need an adapter). The amplifier includes a 6' extension cable to go between the amplifier and your adapter (your adapter will not screw directly into the amp). If you already own the necessary adapter or if your device has an SMA/Female antenna connector, you can select the "I already have an adapter" option. Life doesn’t always take you to places with great cellular service. 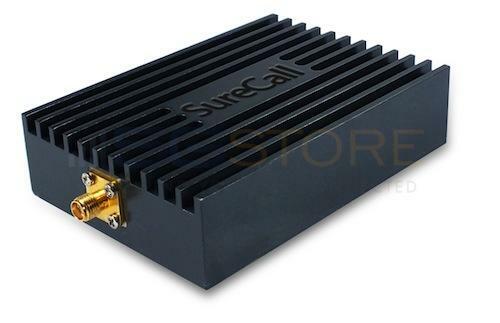 If you live, work or travel in areas with a poor data signal, the SureCall AT&T Direct Connect Amplifier can give your reception the best possible boost. Designed for devices that use the 700MHz frequency band and have an external antenna port, this AT&T 4G LTE booster will bump up a weak signal for better performance on a single AT&T device. A good antenna is always essential for getting a cellular signal, but when this isn’t enough to provide adequate reception, adding a direct connect signal amplifier could be all the difference. As long as there is an existing signal of at least -94db, then a 4G amplifier for AT&T mobile broadband users can help improve signal and speeds. The amplifier goes inline between an antenna and your device, connecting to your device’s antenna port to give you the best signal available. 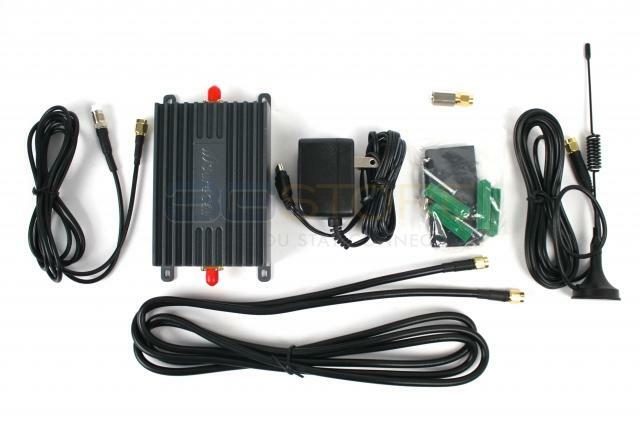 This bidirectional signal booster can provide benefits for business M2M networks and devices such as vehicle surveillance and ATMs, home office workers who live in remote areas, vacationers who want to stay in touch with the world and many other residential or commercial users. If you have done a site survey and determined your existing AT&T 4G LTE data signal is too weak to be effective, but strong enough to be picked up by an amplifier, the SureCall AT&T 4G LTE Direct Connect Booster may be for you. When you order from 5Gstore, you’ll receive a year of free tech support along with industry-leading customer service from our mobile broadband experts. Instead of bringing your device to where better data signals are, we will help the signal come to you! Compatibility: AT&T/US Cellular 4G LTE only this amplifier will NOT work for ANY other networks (not even Verizon LTE - Verizon uses a different portion of the 700mhz frequency for their LTE network). IMPORTANT SIGNAL INFORMATION: If you're purchasing an amplifier for use at one specific location, we strongly recommend doing a site survey first to determine whether the amplifier will help you and to give you an idea of what kind of results you can expect from it. This amplifier requires a signal of at least -94db in order to be effective. If your signal is worse than -94, this amplifier is unlikely to be effective - there must be some usable signal available for the amplifier to boost. Conversely, if the signal is too STRONG at your location (-50db or better), the amplifier may shut down to avoid interference with the tower. 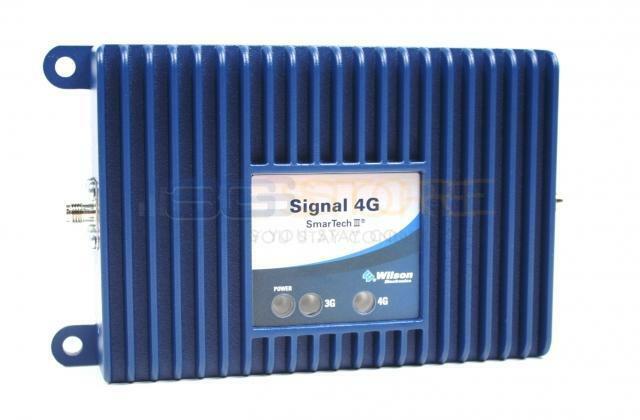 SureCall’s 4G LTE-A Cellular Signal Booster is a high-quality bidirectional signal booster that provides significantly enhanced 4G data reception for AT&T LTE. You will see the difference in the number of bars your computer displays and you’ll notice the dramatic increase in the speed of data uploads and downloads. 6" 3dB magnetic mount antenna (must be mounted to something magnetic - suction cup window mount available separately) with 9.75' cable attached. Many users prefer to disregard this antenna and purchase a different antenna instead. Works just as described, pair it with a better antenna though, great product. If the device supports AT&T on LTE Band 12, then yes, it will work. Just be sure you have an appropriate adapter for the Mofi. Can you use 2 amps/antennas for MIMO on an ATT Momentum? Yes, the Momentum has 2 antenna ports, and using an amp/antenna in each port will give you a MiMo setup.